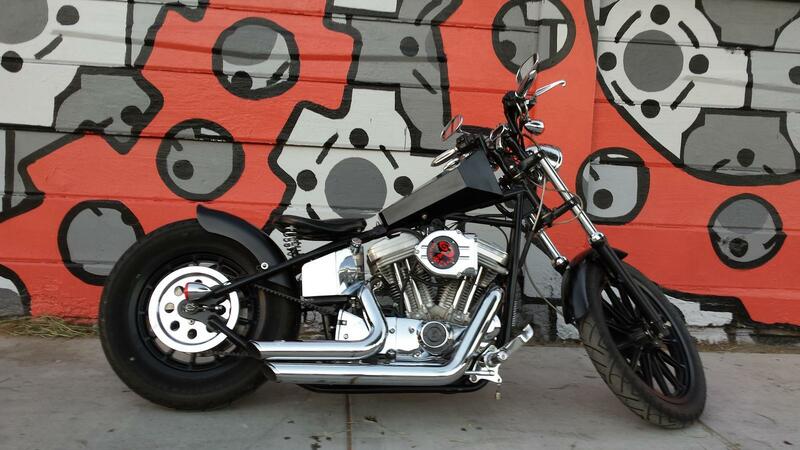 A custom built Hardtail Sportster Chopper for a great price, in excellent condition. 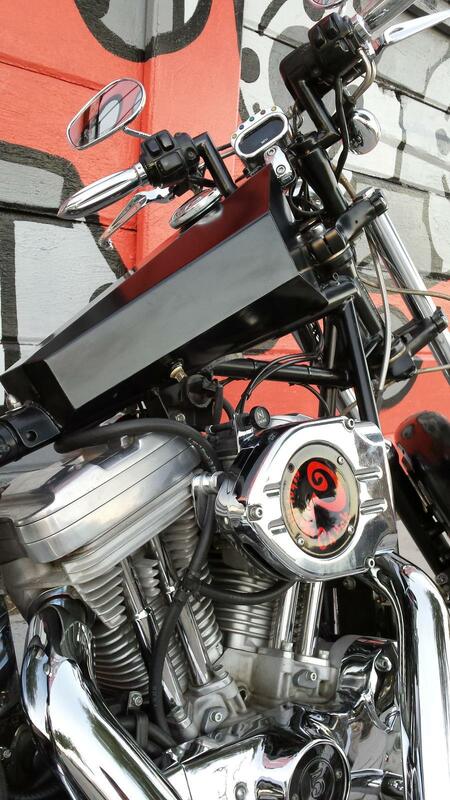 Design features include 70's style coffin tank, shorty Z-bars and Dakota digital speedo. 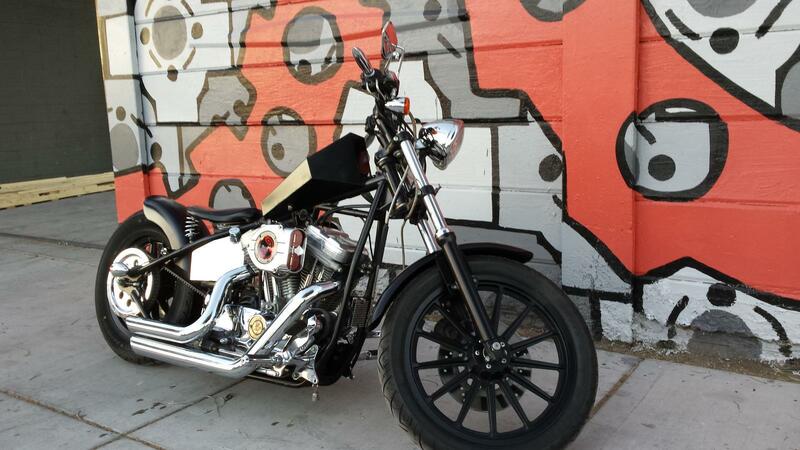 With 1200cc Sportster engine tucked in a light and low frame, this bike has plenty of giddy up and go. 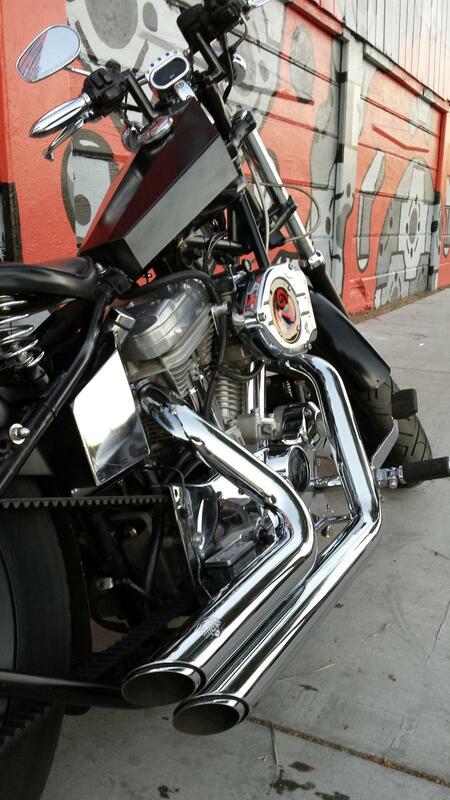 Performance parts include Hypercharger Air Cleaner and Vance & Hines Slash Cut pipes. 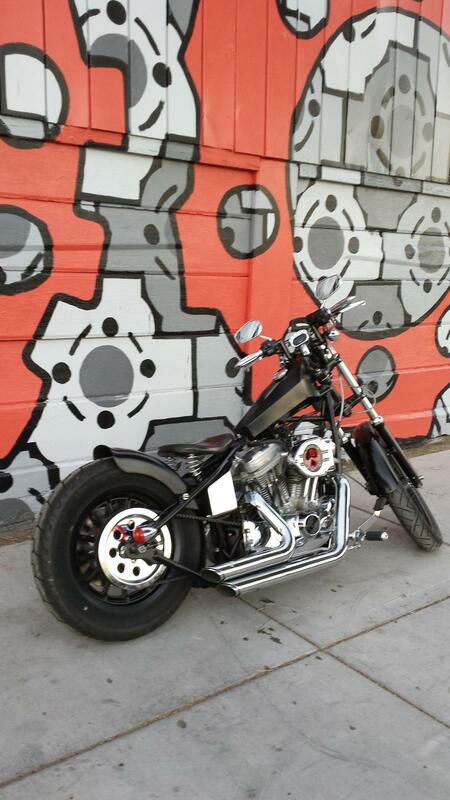 Matte black paint and powder coated Mag wheels complete the package.